With the U.S. Environmental Protection Agency expected to announce new carbon standards for power plants this summer, a scientific study released today says strong standards would provide immediate health benefits. Researchers who analyzed three options for power plant carbon standards concluded the one that comes closest to the draft regulations released by the EPA last June would provide the greatest benefit to people’s health. The study projects 3,500 premature deaths in the U.S. would be prevented every year as a result of the air being cleaner, according to study co-author Dr. Jonathan Buonocore of the Harvard T.H. Chan School of Public Health.
" When you regulate carbon you are going to affect the emissions of other co-pollutants," he said. The research was published Monday in the journal Nature Climate Change. The EPA is planning to impose the new emission standards because power plants are the country’s largest source of carbon dioxide that contributes to climate change, but a side benefit will be less smog. Buonocore said the researchers found that weaker regulatory options, such as simply requiring power plants to operate more efficiently, would result in fewer benefits and could actually be detrimental to people’s health.
" Improving efficiency of power plants won't save lives and the study actually projects ten more deaths attributable to these changes," he said. If the EPA acts this summer as planned, the health impacts as measured by heart attacks and hospitalizations for illnesses related to air pollution would be substantial and immediate, according to Buonocore. The study said people in all of the lower 48 states would have cleaner air if the draft EPA regulations are adopted with Pennsylvania, Ohio, and Texas seeing the most health gains.
" It is a combination of not great air quality to begin with along with relatively high populations," he said. Massachusetts put carbon limits on power plants in 2001 and more recently pursued policies that saw the renewable energy sector boom. No air quality health alerts were issued in Massachusetts last summer for the first time since the Massachusetts Department of Environmental Protection started tracking smog levels in the 1970s. The last coal-fired power plant in western Massachusetts, Mount Tom Station in Holyoke, shut down permanently last December. A coalition of local activists along with state and national environmental organizations campaigned for years to shut down the Mount Tom power plant blaming it for causing smog and elevated asthma rates in the lower Pioneer Valley. The Massachusetts Clean Energy Center funded a $100,000 reuse study of Mount Tom with results expected later this spring. 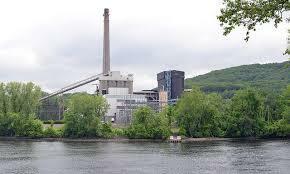 The end is near for the last coal-fired power plant in western Massachusetts. Mount Tom Station in Holyoke is to shut down by the end of the month bringing a victory for environmentalists and a quandary about what will become of the plant’s property along the Connecticut River. The city council in Springfield is pressing ahead with a court fight against a proposed wood-burning power plant. But first the council had to secure the services of a lawyer who would take the case for free. The state of Vermont is reaping the benefit of national clean air policies.